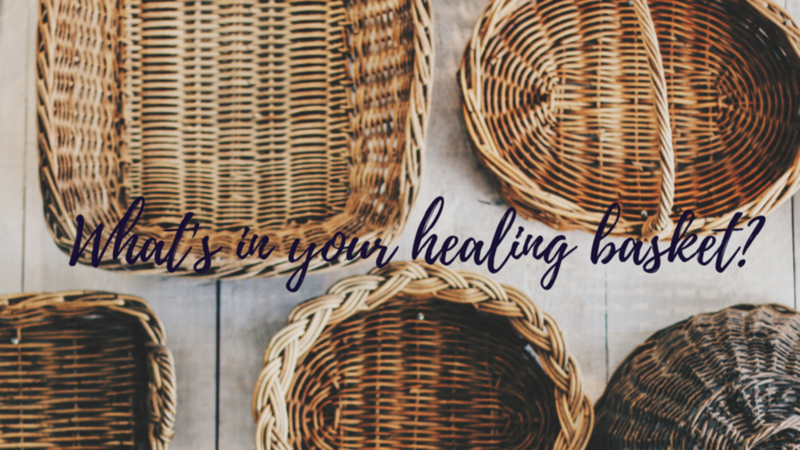 I want to share what is in my healing basket because it is something simple, and something that when we go on the road or on a trip it comes with us. SOMETHING SOFT: such as a piece of silk, flannel, or my favorite, a cotton bandana. I use this to hold ice if needed, a compress, or just for soft comfort. SOMETHING TO CONNECT: this could be a picture, stuffed animal, which is used to distract and tell a story. I hope this gives you some inspiration to get a basket together, what's in your basket?